Putty Tape Flange RV Camper Roof Motorhome Weather sealant Doors, Windows, Vents 10' Mini by ItemsYouNeed at Wakaf Center. Hurry! Limited time offer. Offer valid only while supplies last. 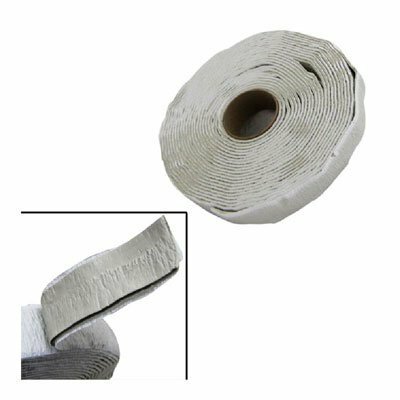 10' Mini Roll Perfect for those small jobs! Commonly used on RV's & Mobile Homes for Installing or replacing windows, doors, vents & trim for a water tight seal. Use on any overlapping metal seam for a water tight seal. Many other uses...seal your sink to your counter top, faucets to walls or sink ledges. Very flexible and non-hardening. Cleaner and easier to use than silicone. If you have any questions about this product by ItemsYouNeed, contact us by completing and submitting the form below. If you are looking for a specif part number, please include it with your message.